Some (very fortunate) people just #wokeuplikethis and have endless good hair days. Others have bad hair days that never seem to go away. Ever. Whether it’s the hectic pace of life causing undue stress on your tresses or hereditary hair loss plaguing you, TrichoKare can customise just the right treatment based on your scalp and hair conditions. 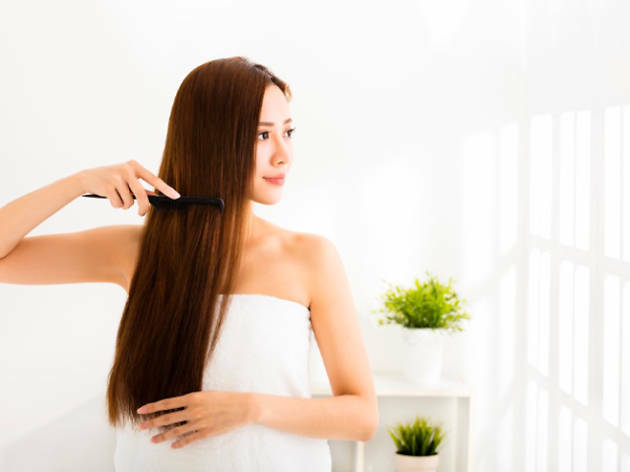 This leading trichological centre employs European herbal hair remedies, backed by the science of trichology, to treat all hair concerns in a gentle, non-invasive manner so you don’t have to pull your hair out over, err, hairy problems. Trichology is the scientific study of hair and scalp health. Trichologists often takes a holistic approach, taking into account your lifestyle, diet and general wellbeing, when treating hair problems. The treatments at TrichoKare uses only premium European herbs such as sage, which is great to stall the onset of greying hair. Each treatment, administered by in-house trichologists, is customised for every client to regenerate, restore and even revive the hair and scalp to their natural optimal states – so don’t expect a one-size-fits-all package here. TrichoKare treats a wide range of hair problems for both males and females, from the dreaded hair loss (hereditary and otherwise) to excessive dandruff to greasy scalps. At TrichoKare, you’ll be assigned a dedicated hair specialist who will see you through from the beginning ’til the end of your treatment. During the initial consultation, your hair issues are first identified with the Tricho-Scan Scalp Analysis, which uses a lens that can magnify the pores on your scalp up to 200 times. This enables the hair specialist to give a detailed diagnosis of your hair and scalp conditions before recommending the best course of treatment to address your needs. While treatments differ from person to person, they generally follow a three-step process: firstly, to remove impurities while regulating sebum production to protect the scalp; then, to strengthen the roots and supply nutrients to repair damaged and dormant hair follicles; and finally, using concentrated extracts rich in minerals and active nutrients to increase hair density and promote hair growth. Time Out Singapore’s staff writer Michelle Ng went down for a first-time trial. ‘Truth be told, it’s slightly squeamish to see close-up shots of my scalp, but it’s oh-so-satisfying to see the pores clear of impurities after the treatment. According to my hair specialist Calvin Boey, my main hair issues are: clogged pores, oily scalp and “low-density” hair. The ‘”after” scan clearly shows visibly stronger and more deeply-rooted hair as compared to the “before” scan. Celebrity blogger Xiaxue and Mediacorp radio DJs Anand and Jaynesh count themselves fans, too. And TrichoKare has also won multiple awards, including Elle Beauty Treat List 2017, Her World Spa Awards 2016, Harper’s Bazaar Hair Awards 2016 and Singapore Women’s Weekly Hair Awards 2016 – proving its effectiveness in preventing hair fall and hair loss, and promoting health hair growth. 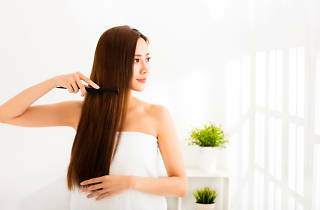 Sign up for TrichoKare’s hair fall prevention treatment (two hours) at a discounted trial rate of $40 and stand a chance to win a 2D1N staycation at the Marina Bay Sands (worth $550). Promotion is exclusively for new members only. Click here to sign up.